Powerfull linux web hosting with highest server up time and robust control panel support. Available for dedicated servers, VPS hosting and Cloud Hosting. Brainpulse is a renowned Hosting solution provider that offers an array of Linux Hosting Services to the business houses of diverse capital or strength. 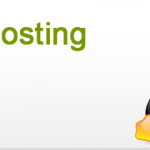 Our hosting plans are affordable and tailored as per growing resource demands. If you are looking for low-cost yet reliable Linux solutions, you're at right place. Our Linux Hosting India plans are equipped with major hosting utilities, robust servers and the most stable operating systems. All our packages come with a set of features specially added for growing business needs. 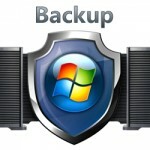 Our secure hosting plans are made to fit with your business requirements and backed with multiple data centers and amazingly fast network connections. Why Linux Hosting @ Brainpulse? At BrainPulse, we understand how important your business is for you. So, our hosting solutions experts make fully equipped plan that fulfills all your online business requirements. Beyond a highly advanced and multi-location Datacenter support, you can avail a number of business advantages with our services. Our Linux hosting solutions are perfect and designed wisely. Get the most popular cPanel control panel to mange your website(s) conviniently. cPanel helps to perform number of functions very easily: . To ensure Hosting clients authenticated and uninterrupted data access, we offer them multithreaded, multi-user, unlimited MySQL relational database server and much more with Linux hosting solutions.. Still have queries? 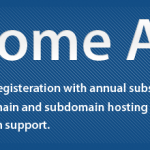 Call us now on 0120-6790400 to get in touch with our WebSite Hosting experts. They will tell you about our exclusive Linux support hosting plans made specially for the businesses like you. 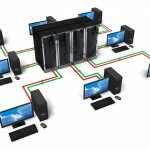 How To Manage Web Hosting Downtime ?